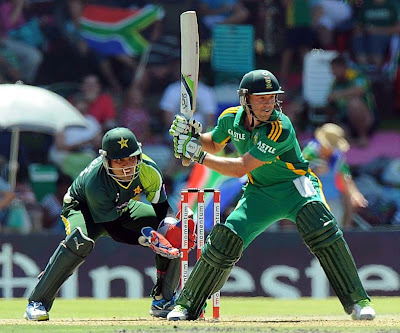 South Africa has already won the series against Pakistan by 3-1 by winning the 4th ODI but one ODI is still left in this five match ODI Series that will be played on 11th November 2013 in Sharjah. After losing the series to South Africa Pakistan would be hoping to win the last one to earn at least some respect before going on the tour of South Africa from 20th November. The conditions in Sharjah will be different from Abu Dhabi where Batsmen were more comfortable. In Sharjah conditions will be good for bowlers that is a good news for Pakistani bowlers specially the spinners who failed to stop South Africa under in 250 in 3rd and 4th ODI. In 4th ODI Pakistani batsmen performed better than the first three matches but Pakistan still lost the match by 29 runs. Openers specially Ahmad Shahzad has played beautifully in all the matches. New Boy Sohaib Maqsood played exceptionally in the last ODI so all eyes will be on him. Middle order Batsmen Asad Shafiq, Umer Akmal, Shahid Afridi also needs to preform if Pakistan has the win the last match. after ODI series Pakistan and South Africa will play two T20 Internationals and then both teams will fly for South Africa to play another series of 3 ODIs and 2 T20s from 20th November.